True digital transformation means an insurer can be more competitive and secure with blockchain, cloud, analytics, RPA, AI and platform solutions. IBM is putting smart to work. See how blockchain streamlines bicycle theft claims. Learn how AI is being used by insurers to reshape customer service, underwriting, claims, and corporate legal. The pressure to innovate and control costs has never been higher in the insurance industry. Executives navigate a stream of technical advances and determine which can provide return on investment, with low cost of ownership and data security - all while meeting changing customer expectations. IBM industry platform solutions with insurance analytics, AI and cloud models can unlock the future. Innovate at lower cost, modernize and meet regulatory requirements. Insurance industry platforms and blockchain are changing the way insurers do business, respond to customer expectations and develop new product offerings. We provide the solutions and guidance to facilitate change and innovation, control costs and transform your business. Thrive in a disrupted marketplace. The IBM Insurance Platform brings together everything you need to reduce costs and develop true risk value. Engage new customers, optimize operations and scale on cloud. Understand blockchain and become familiar with technology that helps automate smart contracts. Reduce administration in a secure, permissioned environment between two partners or within an insurance consortium. No insurer wants to make the news about risk and security shortcomings. Inefficiency also poses risks to profit. Insurers need to focus on basic security and a defense strategy to predict where the next attack could occur. No longer just a problem for the CSO, security is a key concern for the board and CEO. IBM cybersecurity solutions help predict cyberattack timing and scenarios, which allows you to provide answers to your stakeholders. IBM Security solutions work together to prevent and repair the damage cyber attacks can impose on your enterprise. Automate and optimize any business process that has structured digital data by using RPA. Learn what RPA is and how it help insurers. Everything from core modernization, cognitive underwriting and cloud acceleration to data center transformation is part of engineering competitive advantage for large and small insurers. Digitization means there is more opportunity for fraud but also better processes to counter it. Detect and prevent fraud to help your bottom line with analytics on a platform capable of learning. Expand what you know about customers and how you can serve them with cognitive capabilities for sales and service including virtual agent, call center and mobile solutions. Your data. Our AI. Give your team spot-on sales intelligence. Learn how AI is transforming insurance sales and scaling expertise to keep your sellers better connected to your customers. To become a true risk partner, insurers must seriously consider adopting each. IBM and ERGO to jointly develop a system to manage closed books on the IBM Insurance Platform. Platform models offer innovative products in a digital ecosystem and are disrupting traditional businesses. Cognitive-powered AI is revolutionizing the insurance industry. Artificial intelligence allows insurers to compete and solve some of their biggest challenges. Chatbots, or virtual agents, have arrived in the insurance industry, and their impact can't be ignored. New ways to utilize secure ledger technology continue to be discovered in insurance. From AI to Blockchain to talent, executives must rethink their approach to digital reinvention. One of the first instances of a commercial digital proof of insurance using IBM Blockchain. Insurers have a decision whether to be disrupted by mobile or to use it as a tool to disrupt the industry. A recap of the insurtech Digital Future of Insurance Conference. IBM and the Italian insurer worked together to form a new digital insurance ecosystem. Commercial drones are rapidly becoming airborne IoT devices for insurers. A recap of the 2018 Insurance Industry Charitable Foundation Women in Insurance Conference. GDPR is finally here and that means greater transparency with your personal data. AIG, IBM and Standard Chartered Bank partnered to develop the first multinational smart contract insurance policy. Innovating Insurance: Lessons from the most successful insurance organizations. Compliance does not guarantee security. Learn from this webcast to build risk strategies that help you navigate new security and regulatory requirements for insurance companies. IBM Blockchain is the only fully integrated enterprise-ready blockchain platform designed to accelerate the development, governance and operation of a multi-institutional business network. Blockchain is doing for transactions what the internet did for information. Create efficient processes with one partner or an insurer consortium using distributed ledger technology that records the history of transactions among clients, partners and suppliers. Insurance companies are looking for ways to streamline operations, create cost efficiencies and build greater trust in a new digital ecosystem. One of the ways they're doing that is by using blockchain technology. Learn how AIG and Standard Chartered are using IBM Blockchain technology to strengthen transparency, increase trust and reduce cost and friction. Use advanced analytics techniques to transform your data into valuable customer insights. Collect, organize and analyze your data, uncovering insights that improve business processes and ideas that drive game-changing outcomes while enabling compliance. Put business content to work to improve customer insight, manage risk and fraud with better claims processing and compliance and create new business opportunities. Learn more. The IBM Insurance Platform a cloudbased, security-rich platform that supports modernization across your business. Operate your group benefits insurance business on a security-rich integrated cloud platform that supports day-to-day operations, provided as-a-service. Enable variable-cost and flexible business models and equip yourself with new technology to reach new markets. developer tools, APIs and a 3rd-party ecosystem to build, operate, and monetize next generation financial services apps. Take insurance policyholder protection to the next level with the Internet of Things. Provide holistic protection personalized to the consumer to shift the very nature of risk. Learn more. Leverage Weather Solutions for Insurance and strengthen policyholder relationships by providing risk prevention, not simply claims payment. Replace, modernize or transform the primary systems that process and issue life insurance policies. Provide your field-based adjusters everything they need to document damage, complete assignments and prioritize tasks using their iPad with the IBM iOS mobile application, Mobile Claim Adjuster. Improve adjuster engagement and productivity while enhancing customer experience. Cloud computing speeds business transformation. Cloud technologies can help you develop services and act on insights ahead of the competition. Core Insurance Platforms integrated with cognitive and non-cognitive assets, offered as-a-service in partnership with leading product vendors. Incorporate insights from unstructured data to make smarter decisions with IBM Cognitive Underwriting. Insurers must manage security risk and comply with changing regulations while delivering highly personalized digital experiences for customers. The right infrastructure can simplify compliance, provide the world’s best security, lower costs and meet rising demands for innovation. Identify fraud, waste and abuse with the frameworks, tools, processes and skills needed to detect and prevent fraud, decrease losses and reduce operational costs. Harness the cognitive capabilities of Watson to transform your risk and compliance management. Get substantial cost savings associated with assessing and negotiating legal expenses associated with outside counsel services with IBM Cognitive Outside Counsel Insights, available both as a SaaS model or on-premises deployment. IBM Security solutions work together to stop cyberattacks from damaging your organization. IBM Security for Insurance delivers security intelligence, integration and expertise to safeguard your business and protect against cyber security threats. Learn more. Redefine software innovation with advanced tools and methodologies from IBM. IBM's experience deploying global, security-enhanced infrastructures, integrating cognitive computing, IT transformation with financial and risk sharing techniques - translates to significant cost takeout. Prepare for the General Data Protection Regulation (GDPR) with a comprehensive IBM offering that is delivered in multiple ways but designed to address the many exposure fronts that GDPR presents, including governance, people and communication, processes, data, security and privacy. 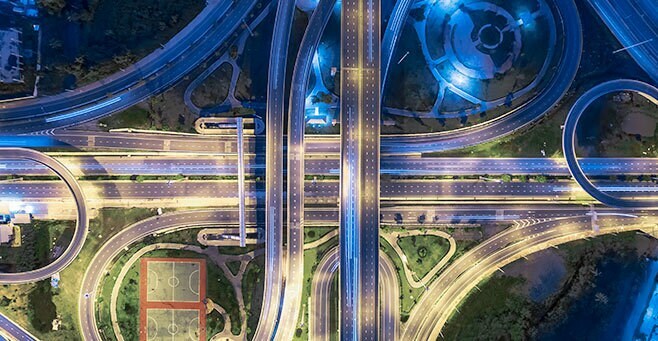 IBM hybrid cloud security for insurance provides a unique set of capabilities including: IBM Promontory regulatory services, cloud security, Watson for regulatory compliance and managed services for security. Get a visual analysis of a process timeline across heterogeneous applications, management systems and quickly identify process breakdowns, bottlenecks and talent mismatches. out a business process and assign a software robot to manage the execution of that process. Expand what you know about customers with cognitive capabilities for sales, virtual agent, call center and mobile solutions. Enable insurance companies to effectively interact with customers, prospects and producers though efficient interaction campaigns that retain, up-sell and cross-sell customer segments by propensity, timing and insight. Simplify calculation rules and complex sales hierarchy management. Gain transparency into even the most challenging compensation situations. Revolutionize legacy incentive compensation systems with Incentive Compensation Management to bring flexibility, speed and accuracy in the calculation, payment and reporting of compensation. Exceed customer expectations, operate more efficiently and find a new competitive edge. Benefit from strong and unique set of IBM offerings for mobile in insurance with a depth and breadth of mobile capabilities that others don't provide. GTS Mobility Services has launched its Industry as a Service portfolio. These services are tailored to how specific industries will consume IT services in the digital enterprise. Deliver insurance value to insureds, embedded in their day-to-day lives at the Point of Risk to help them solve and avoid risk exposure problems on the spot. Use the power of cognitive AI to provide robust self-service capabilities for insurance company clients, producers and staff. Whether answering policy, claims, service, billing or other inquiries, IBM Cognitive Virtual Agent offers a solution above and beyond the capabilities of simple chatbot and FAQ tools. Apply AI power to provide a call center agent CSR, underwriter, claims person or insurance agent with a comprehensive view of claim information. Get insights and advice so that they can provide an efficient, satisfactory and rewarding exchange with every customer. Harness the power of AI to improve an insurance company's ability to service customer needs and expectations by enhancing all interactions, providing timely, accurate, complete and consistent information and advice. Would you like to talk with an IBM Insurance expert?